Fortune 500 firms have had a few very good Quarters: sell product in Euro’s, Pounds, Yuans, Kronas, Swiss Francs, and even Rubles then convert them to US Dollars! Sheer Genius! An explosion in profitability without any improvements in Productivity, Innovation, or the time honored increases in Plants and Equipment! No additional employees are needed that would affect the profits; just devalue the US Dollar. Consider the fact that the beginning of the year, the US Dollar Index fluctuated between 102 and 103 and now is hovering around 93; a decline or devalue of 9.7% The Euro stood at 105 January 1st of this year and as of Oct 1, 2017 it is 118; a gain or strengthening of 12.3%. What this means is Ford can sell a car for $30,000 Euros and convert to US Dollars with a Year-Over-Year gain of better than 12%: Genius! All of the multinational firms which are most if not all of them are experiencing this phenomenon! The Equity Markets are up 15% YTD, the US Dollar has devalued 12%. Could there be a Correlation? Could the decline of the dollar force the Stock Market higher? Further, Economies outside of the US receive the added bonus of Loan Repayments repaid in much cheaper Dollars discounting the Debt! Everyone wins! However, everything cycles! The US Dollar cycle IS forecast to go much lower, but buckle up and hold on, not necessarily in a straight line and not necessarily for just a few months! The Business Cycle is getting tired and the accumulation of Debt has been Historic. In tough times or perilous times, the US Dollar becomes the currency of choice creating demand; demand will raise the price which will have the opposite affect of a declining Dollar: Markets will drop and Economies stall. The Globe would be vulnerable to a Recession, which would enhance the race to the US Dollar. Debt would become more expensive and much more difficult to service, possibly precipitating defaults of weaker entities. Once started, the completion to the Business Cycle will finish; a brutal cleansing will take place. Those that recognize the Portends and Prepare will not only survive, but have intact resources to purchase Assets that may be discounted to levels that will not be available for Generations, possibly never again. 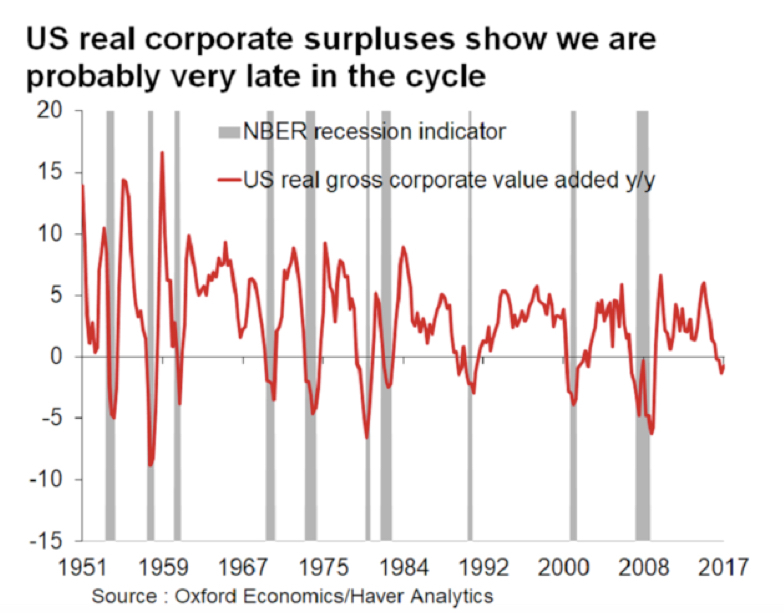 The completion of this Business Cycle could be very scary. It could affect millions of families. Business revenues could decline precipitously; many will fail. We have been through this before and will go though it again in our lifetimes; in each case Income was paramount to survival. Further, over-leveraged, debt burdened entities were the greatest at risk; there is still time to pay debt. Although there are no guarantees in Life, Good Times do not last nor do Bad Times; this cleansing cycle will give way to incredibly better times. There are many Top Analysts that expect the Dollar to eventually cycle to new lows over the coming years, which might cause the Stock Market to explode to much higher levels and Real Assets skyrocket to new levels creating Generational Wealth. In the Great Recession, the rental portfolio was a Lifeboat providing consistent cash flow month after month even though the general Business climate was very poor. The paper cash value declined, but the Income fluctuated well less than 10% and the vacancy factor dropped, the maintenance factor dropped, the taxes and insurance all dropped mitigating the slight decline in Rental Revenue. The current Investment Horizon is a minimum of 7 years which should be well beyond any crisis and the goal is to catch the bottom of the Dollar decline and the peak of the current Real Estate Cycle. Please consult with your advisor, but please consider re-allocating a portion of your portfolio to very conservative, residential rentals for consistent monthly Income. Contact us at 480.948.5554 or michaeldouville0@gmail.com. Your first consultation is always free and check out our website for more information at michaeldouville.com. Michael’s book “How to Create a Real Estate Money Machine and Retire with Income” is available on Amazon. Thank you. This entry was posted on October 4, 2017 at 8:54 PM and is filed under Michael Douville with tags bond market, business cycle, currencies, dollar, economy, equity market, real estate, stock market. You can follow any responses to this entry through the RSS 2.0 feed. You can leave a response, or trackback from your own site.